Adam Martin works as a pharmacist in Pennsylvania, where he is fully committed to healthcare through the practice of pharmacy evidenced through working at a community pharmacy, and volunteering at a diabetes care clinic. Through his work, Martin gets to work with patients on a daily basis to give them the science information and personal support that will empower them to live healthy and happy lives. Martin is currently pursuing a Certified Diabetes Educator (CDE) credential, and helps in teaching the OTC course at the University of Pittsburgh School of Pharmacy. 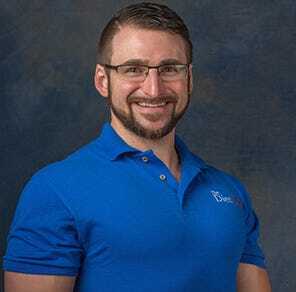 Martin takes pride in providing science and support for clients looking to improve their health through exercise and nutrition by owning and operating his nutrition consulting business, The Diet Doc Pittsburgh North. To learn more about what Adam does for his patients and his community, visit www.thefitpharmacist.com. Adam can be reached at thefitpharmacist@thedietdoc.com.